Some states and colleges offer aid based on the level of schooling your parents completed. This question asks you to report your parent/parents’ highest level of education. Your answer may help to determine if you might be eligible for State grant(s). Select the most appropriate level in the drop down menu for each parent, if applicable. For purposes of this question, you will not want to answer it for a legal guardian. 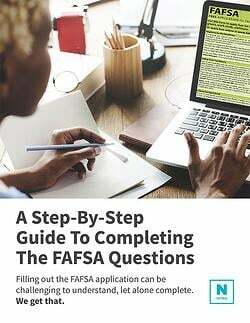 This is because if you have a legal guardian, you are considered an Independent student and do not need to provide your legal guardian’s information in any of the other answers to questions on your FAFSA.